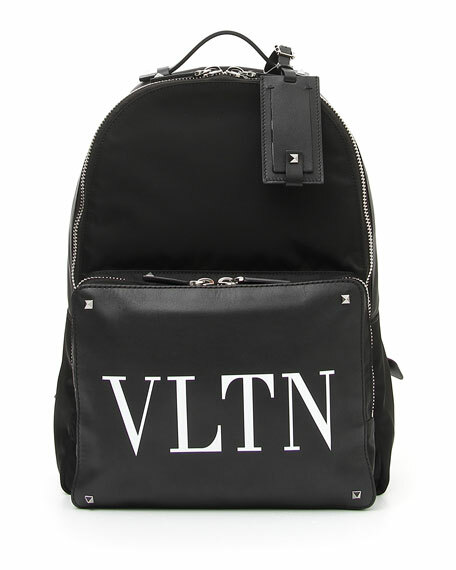 Valentino backpack in leather and canvas with signature Rockstud trim. Leather flat top handle anchored by studs and loops. 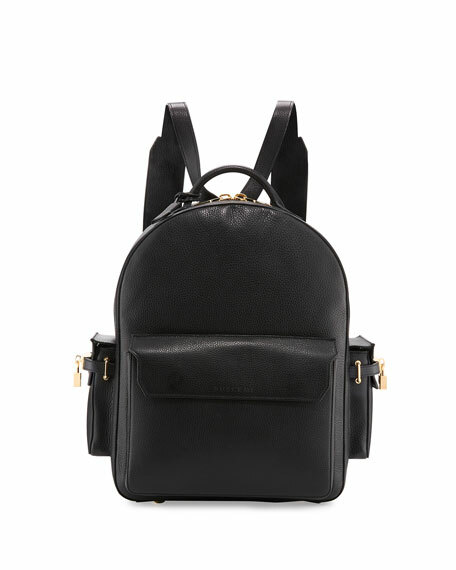 Two-way zip-around top closure with leather pulls. Exterior, front zip pocket with leather pulls. 16.1"H x 13"W x 8.3"D.
For in-store inquiries, use sku #2590303. 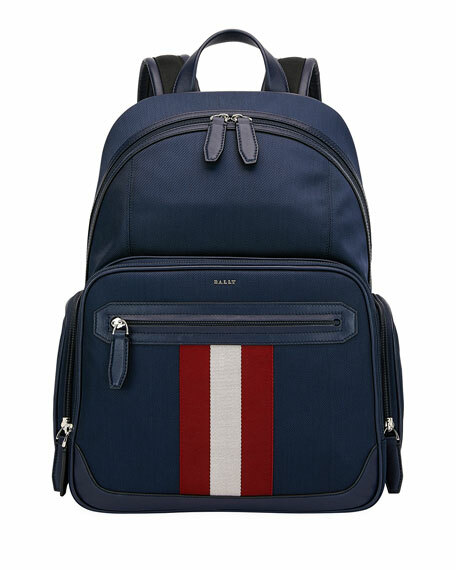 Bally backpack in canvas with leather trim. Iconic Trainspotting stripe down center. Flat top handle. 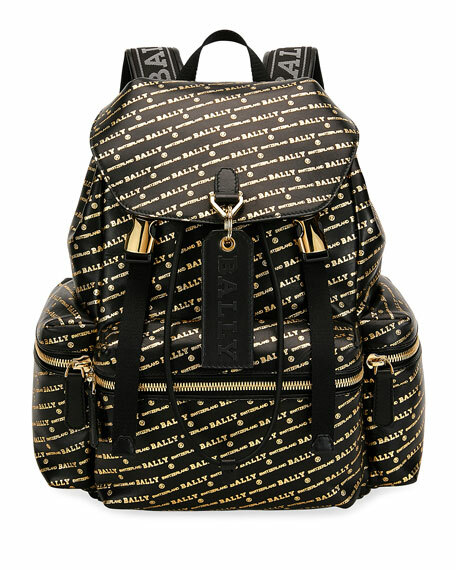 Padded, adjustable straps. Zip-around top closure. Front zip pocket. Side zip pockets. "Chapmay" is imported of Italian material.